A piece of art, a souvenir from an amazing trip, or a photo of loved ones on your nightstand table—these are all special elements that make a house a home. At Common, we provide our members with fully furnished spaces, but always leave room for those personal final touches. One element that truly livens up a space is a gorgeous houseplant. Not only do plants provide health benefits, like cleaner air and reduced stress, but they transform any space in the concrete jungle into a true oasis. The Sill was founded on the idea that Plants Make People Happy. Over the past 7 years, they’ve become the go-to destination to discover the perfect houseplant. 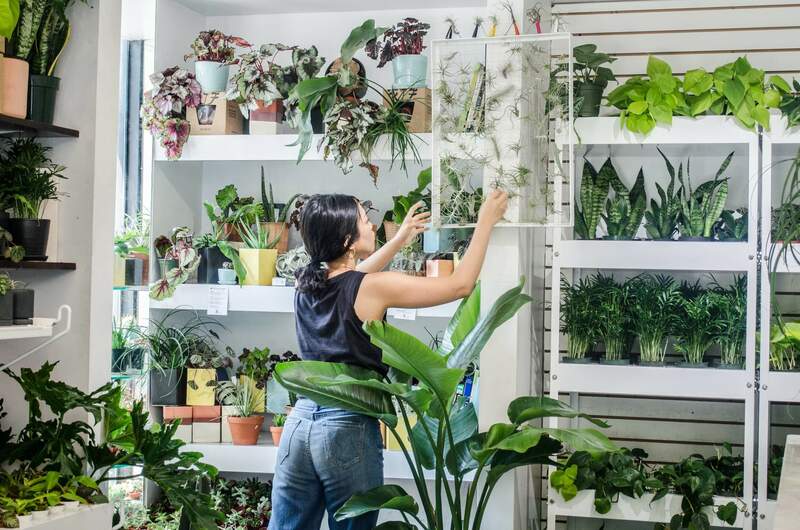 With an online store, as well as three retail locations (two in NYC, and one opening soon in Los Angeles), The Sill is modernizing the garden center with content and community. We’ve partnered with The Sill to give a six month plant subscription to one lucky winner. Each month for six months, the winner will receive a new plant delivered to their doorstep in a hand-made planter. Whether you have a natural green thumb or have trouble keeping even a succulent alive, this subscription makes plant care and home decor as easy as opening a package. First make sure you’re following Common and The Sill on Instagram, then head to Common’s post and tag a friend in the comments. For additional entries, share the post in your stories and tag @hi.common and @thesill. Official terms and conditions below. Good luck! CLOSED 🌱🌱GIVEAWAY ALERT 🌱🌱 At Common, we provide our members with fully furnished spaces, but leave the personal touches up to them. One of our favorite ways to add a bit of life into a room? Houseplants! That’s why we’re giving away a 6 month subscription to your favorite plant store, The Sill. ✨ The winner will receive a new potted plant (with their choice of planter color along with low light, pet friendly, or easy-care options) from @thesill each month for six months. ⠀⠀⠀⠀⠀⠀⠀⠀⠀ To enter: Like this post, make sure you're following @hi.common and @thesill, and tag a friend below! For more entries, share this post to your stories and tag @hi.common and @thesill. ⠀⠀⠀⠀⠀⠀⠀⠀⠀ The contest will end 2.16—the winner will be chosen randomly and announced here and on our stories the same day. For full terms and conditions, head to the link in our bio. ⠀⠀⠀⠀⠀⠀⠀⠀⠀ Good luck! (1) no purchase is necessary. (2) promotion starts on February 9, 2019 and ends on February 15, 2019. Winners will be chosen at 3PM EST on February 15, 2019. (3) eligible to persons aged 18 and over within the continental United States. (4) no purchase is necessary for entry, entrants submit their entry by following Common and The Sill on Instagram, and commenting on Common’s designated posts with tagging 1 fellow Instagram user. For an additional 5 entries, contestants can share Common’s post to their story and tag both @thesill and @hi.common. All entrants must follow both accounts and have commented on the post at the time of closing. (5) every comment counts as one entry per entrant, and every share of the post to Instagram stories, with tagging @hi.common and the @thesill, counts as 5 entries, with a total limit of 5 comments and 1 share, for a total of 10 entries. (6) 1 winner will be chosen at random, the odds of winning are determined by the number of entries. (7) the prize will be a six month plant subscription from The Sill. (8) the winner will be selected at random, and notified in a tagged comment on the original post by Common and an Instagram story. They will also be direct messaged on Instagram up to 3 times. If the winner has not responded to any of the aforementioned attempts to get in contact within 48 hours, another winner will be chosen at random, and the following communications will be repeated. (9) This contest is sponsored by Common Living, 6 E 43rd Street 18th Floor, NY, NY 10017. (10) This contest is not affiliated with Instagram. It's almost Valentine's Day. Start making reservations and planning out how you're going to celebrate in the nation's capitol.